Cleaning products for all areas of the home, as well as for the care and aesthetics of your home. 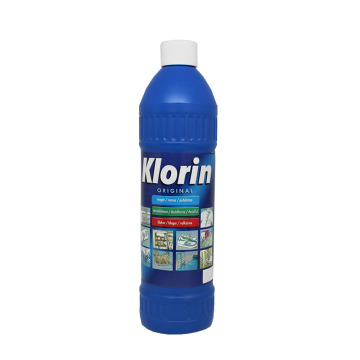 You have scrubs, vinegar cleaning, traps dust, bleach Klorin, or other quality cleaning products like Zalo, Crystal or Glorix. ENZalo Ultra is the Norwegian fairy. One of the best and most famous dish of Norway. One drop is enough. 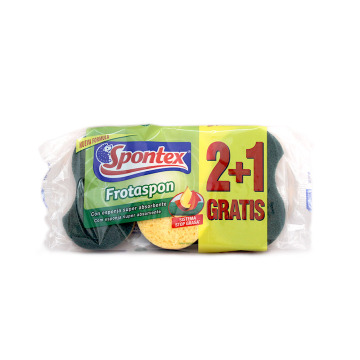 NOZalo Ultra er den norske fe. En av de beste og mest berømte parabolen av Norge. En dråpe er nok. 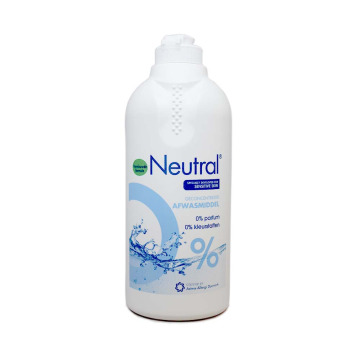 ENThe Neutral Dishwasher takes care of your hands and cleans dishes efficiently. Developed especially for sensitive skin with 0% perfume and 0% dye. NLNeutrale afwasmachine let op uw handen en schone vaat efficiënt. 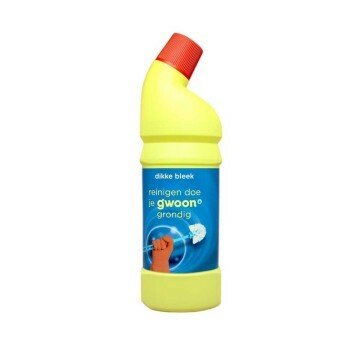 Speciaal ontwikkeld voor de gevoelige huid met 0% 0% parfum en kleurstof. ENFresh cleaning wipes for glasses with an extra soft formula. They degrease, clean and leave a gentle aroma. They come in 20 individual envelopes. 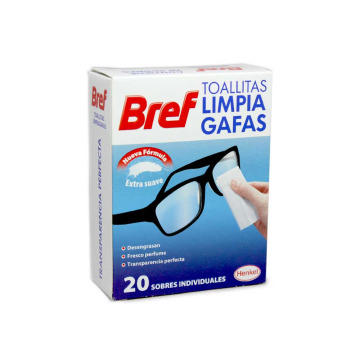 ESToallitas frescas para limpiar las gafas con una fórmula extra suave. Desengrasan, limpian y dejan un suave aroma. Vienen en 20 sobres individuales. 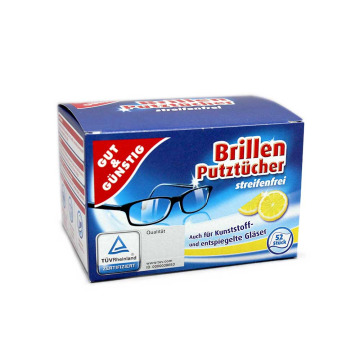 ENFresh cleaning wipes for glasses with a formula that protects from the mist and the traces. They come in 30 individual envelopes. 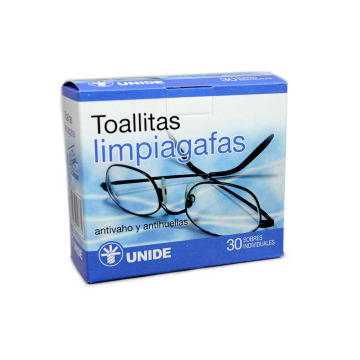 ESToallitas frescas para limpiar las gafas con una fórmula que protege del vaho y de las huellas. Vienen en 30 sobres individuales. ENFresh cleaning wipes for glasses with a formula that will keep them from scratching. They come in 52 individual envelopes. They have a nice lemon scent. DEFrische Reinigungstücher für Gläser mit einer Formel, die sie vor Kratzern bewahren wird. Sie kommen in 52 Einzelumschläge. Sie haben einen schönen Zitronenduft. ENBrush for cleaning the barbecue accessories. It measures 17cm long and its stainless steel bristles will help you with the most difficult grease and coal. NLBorstel voor het schoonmaken van de barbecue accessoires. Het meet 17 cm lang en de roestvrijstalen borstels helpen u met het moeilijkste vet en kolen. 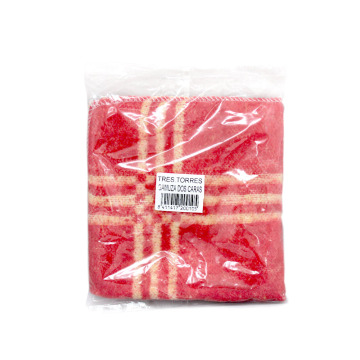 ENDelicate scourer for all surfaces of the bathroom. 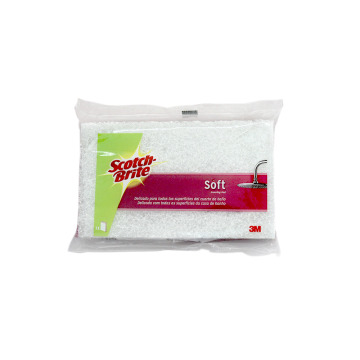 With this scourer you can clean without any problem any surface of your bathroom without damaging it. ESEstropajo delicado para todas las superficies del cuarto baño. Con este estropajo podrás limpiar sin problema cualquier superficie de tu baño sin dañarla. ENCloth to remove dust on two sides. 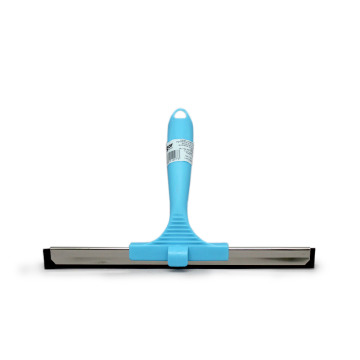 With this duster you can remove dust easily and in one pass. Use it throughout the house. ESGamuza quitapolvos a dos caras. Con este paño podrás eliminar el polvo fácilmente y de una pasada. Utilízalo en toda la casa. ENScourer for your cooking utensils. 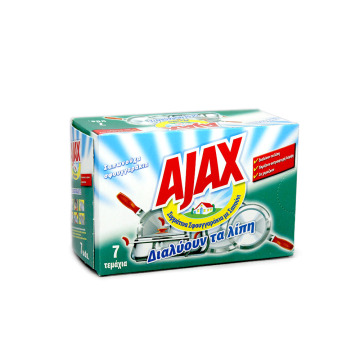 With Ajax you will clean up even the most difficult grease. One package contains 7 units. ESEstropajo para tus utensilios de cocina. Con Ajax limpiarás hasta la grasa más difícil. Un paquete contiene 7 unidades. 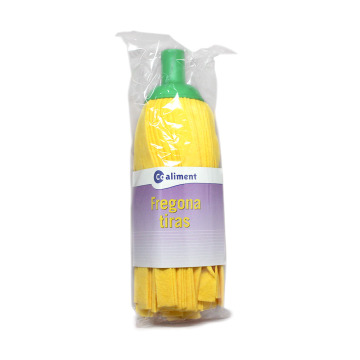 ENMicrofiber yellow ballerina mop. 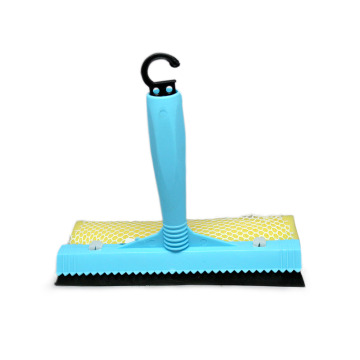 This mop is extra absorbent, ultra resistant and with a practical head. 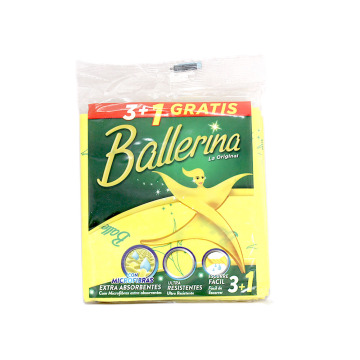 ESFregona ballerina amarilla de microfibras. 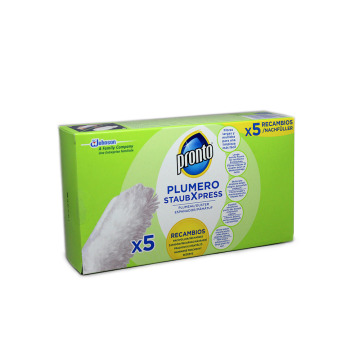 Esta fregona es extra absorvente, ultra resistente y con un práctico cabezal. ENBrush cleaning the brand Vigar. You can clean upholstery, furniture, smooth surfaces, etc. It has a large handle that gives you comfort while you use it. ESCepillo de limipeza de la marca Vigar. Puedes limpiar tapizados, muebles, superficies lisas, etc. Tiene un asa grande que te ofrece comodidad mientras lo usas. 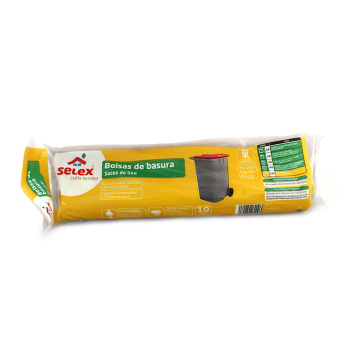 ENBin liners for kitchen bucket of 55x60cm. It has a capacity for 30 liters and you will like its scented aroma. One pack contains 15 units. ESBolsas de basura para cubo de cocina de 55x60cm. 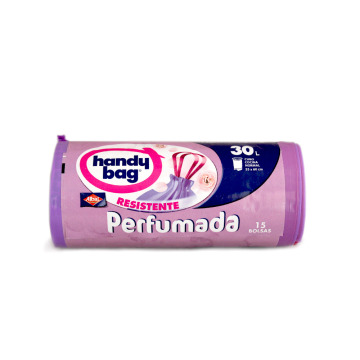 Tiene una capacidad para 30 litros y su perfumado aroma te encantará. Un paquete contiene 15 unidades. ENPedal bin bags. These transparent bags are very practical for the office, bathroom or small kitchen garbage cans. You have 40 units of 20 liters capacity each one. NLPedaalbakzakken. Deze transparante zakken zijn zeer praktisch voor de kantoor-, badkamer- of kleine keukenbakken. U heeft 40 eenheden met een capaciteit van 20 liter. ENLarge garbage bags with 120 liters of capacity. They measure 70x100cm. DEGroße Müllsäcke mit 120 Liter Fassungsvermögen. Sie messen 70x100cm. ENCoaliment absorbent mop with strips. It has good strength and long-lasting absorbency. ESFregona de tiras absorbente de la marca Coaliment. Tiene una buena resistencia y una absorcón duradera. ENPlastic strip cleaner. Remove lime and water marks from your crystals, mirrors and glass. It is very practical and easy to use. ESRegleta limpiacristales de plástico. Elimina la cal y las marcas de agua de tus cristales, espejos y vídrios. Es muy práctica y fácil de usar. ENDuster cleaner refills for for your house. 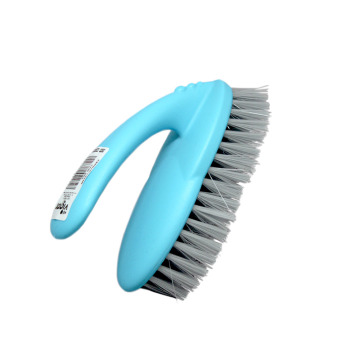 Contains long, fluffy fibers for easier cleaning. A package has 5 units. ESRecambios para plumero quita polvo. Contiene fibras largas y mullidas para una limpieza más fácil. Un paquete tiene 5 unidades. ENVileda's sensitive gloves. These medium size gloves have a maximum sensitivity and grip. They also have a vanilla fragance that disguise the smell of latex. 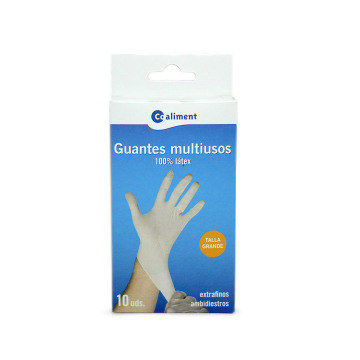 ESGuantes sensibles de Vileda. Estos guantes de la talla mediana cuentan con la máxima sensibilidad y agarre. Además tienen aroma a vainilla y disimulan su olor a latex. ENPair of gloves to wash the dishes of the German brand Gut & Günstig. They stand out for their comfort. They are of big size. DEGut & Günstig Paar Handschuhe zum Waschen der Speisen. Sie zeichnen sich durch ihre Bequemlichkeit aus. Sie sind von großer Größe. ENExtra absorbent kitchen cloths. They can be washed and their texture is easy to clean. A pack contains 5 units. DEExtra saugfähige Küchentücher. Sie können gewaschen werden und ihre Textur ist leicht zu reinigen. Eine Packung enthält 5 Einheiten. ENCleaning product to remove lime from your bathroom. 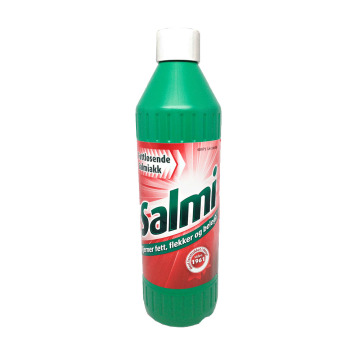 With this anti-lime you can descalcify your faucets and give them more shine. NLReinigingsmiddel om kalk uit uw badkamer te verwijderen. Met deze anti-kalk kunt u uw kraan ontkalken en meer schijn geven. ENMulti purpose cleaning spray for your bathroom and your kitchen. 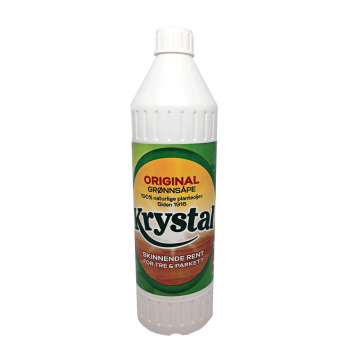 This product effectively removes rust residues, dirt, lime and soap scuffs. 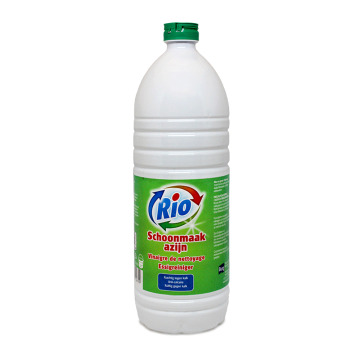 DEMehrzweckreinigungsspray für Ihr Badezimmer und Ihre Küche. 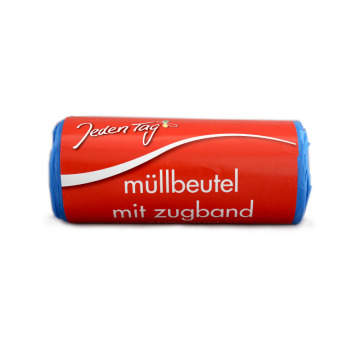 Dieses Produkt entfernt effektiv Rostrückstände, Schmutz, Kalk und Seifenabrieb. ENSteel scourers for the most intense cleaning of kitchen items. With these scourers you will eliminate the most difficult grease and stains of time and fire. DEStahl-Scourers für die intensivste Reinigung von Küchenartikeln. Mit diesen scourers beseitigen Sie das schwierigste Fett und Flecken von Zeit und Feuer. ENThe Fairy Ultra Original washing up liquid lasts twice as long as any other dishwasher. et the great power of the Fairy do the work for you. ESEl lavavajillas Fairy Ultra Original dura dos veces más que cualquier otro lavavajillas. Deja que el gran poder de la gota de Fairy te cunda. ENDense bleach for cleaning and disinfection of the WC. This lye also carries a scent of eucalyptus to offer a fresh feeling in your bathroom. NLDichte bleek voor het reinigen en desinfecteren van de wc. Deze loog draagt ook een geur van eucalyptus om een fris gevoel in je badkamer te geven. ENDense bleach for cleaning and disinfection of the WC. This pink bleach offers a radiant cleanliness. NLDichte bleek voor het reinigen en desinfecteren van de wc. Dit roze bleekmiddel biedt een stralende reinheid.